Free download of just the Preface here. Free download of 15-page Self-Healing Vocabulary booklet here. 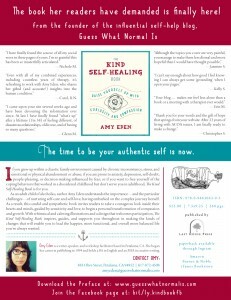 Promotional flyer for The Kind Self Healing Book here. Here’s what readers have to say about the book: Click here to see all the 5-star reader reviews on Amazon! There are many more endorsements on Amazon.com, which you can read right here. 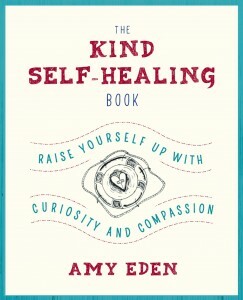 Visit The Kind Self-Healing Book on Facebook on Facebook. 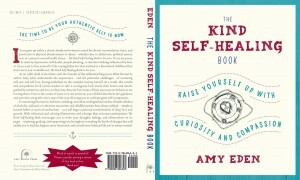 And if you’re curious how the book was funded, check out my IndieGoGo campaign. 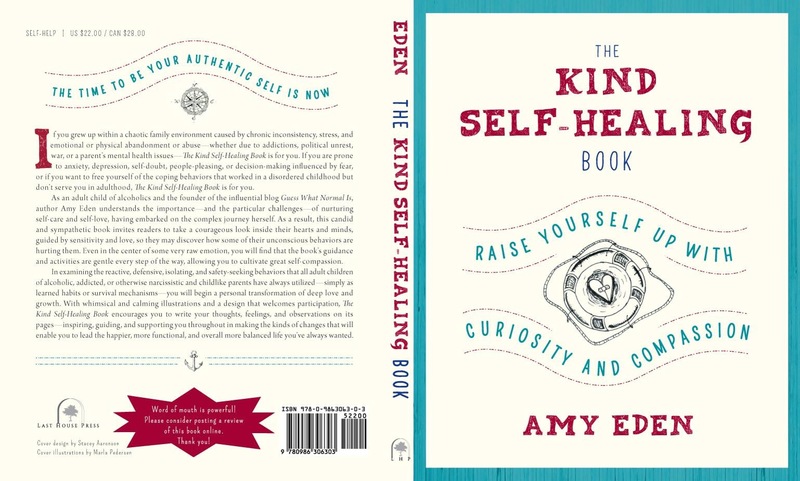 Feel free to contact me by email at amyeden@guesswhatnormalis.com with questions.